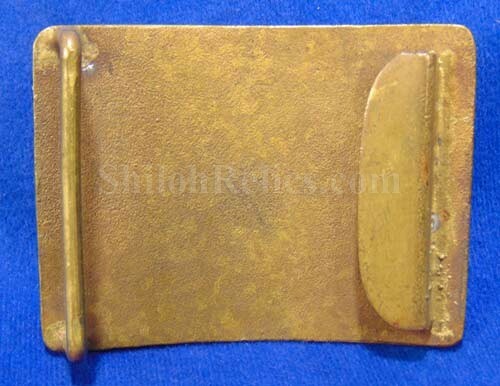 This is an excellent non-excavated U.S. military belt buckle of the 1872 model. 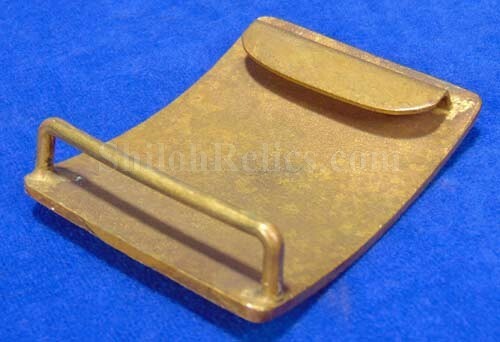 They were designed for the Hagner style belt. This is the pattern illustrated on page 558 of the O’Donnell & Campbell buckle book as plate #941. It is in superb non-excavated condition with a pretty patina all over. 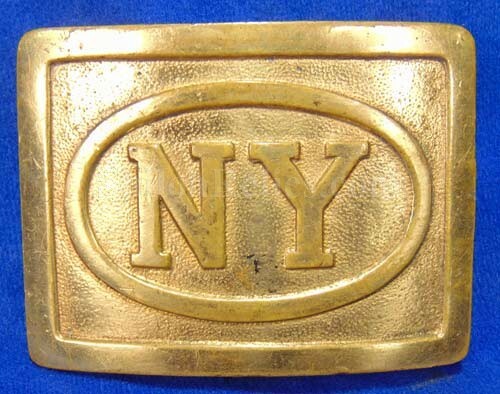 The face of the plate has the vividly clear "N.Y.” on the oval in the center of the buckle. 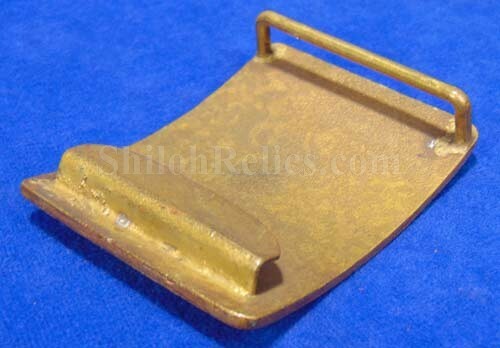 This lets us know that it was worn by a member of the New York militia It has the original keeper hook intact on the reverse. This is the pattern that was often worn by soldiers during the Indian war time frame on up through the Spanish American War.